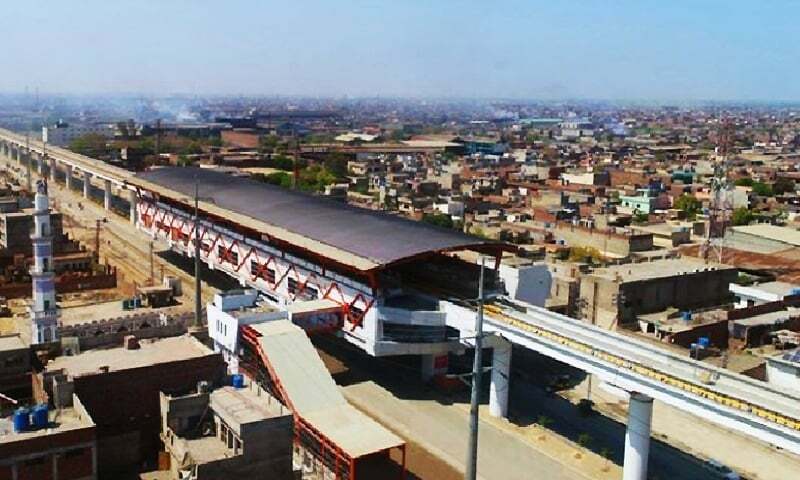 Punjab Chief Minister Shahbaz Sharif on Wednesday inaugurated the first test-run of Lahore's much-awaited Orange Line Metro Train (OLMT). 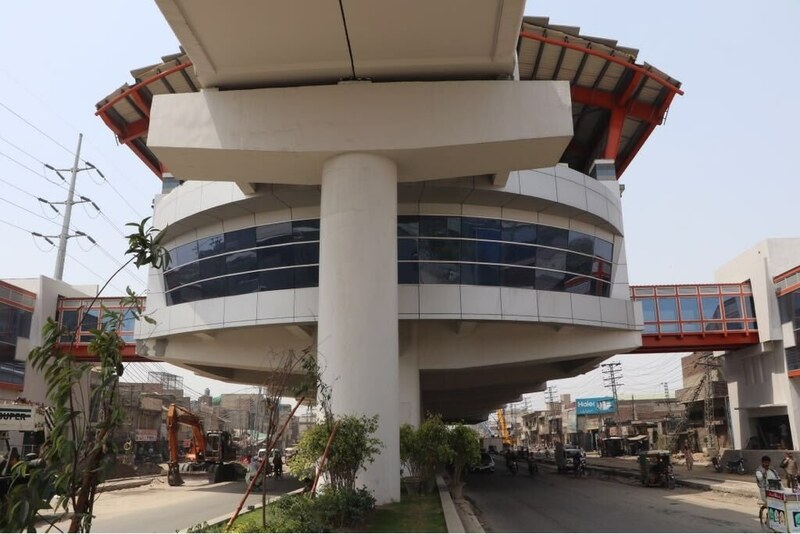 As the ceremony kicked off at Laxmi Chowk, the CM Punjab described the OLMT as a "gift" for citizens, and vowed to introduce such facilities in other parts of the country, including Karachi and Peshawar. 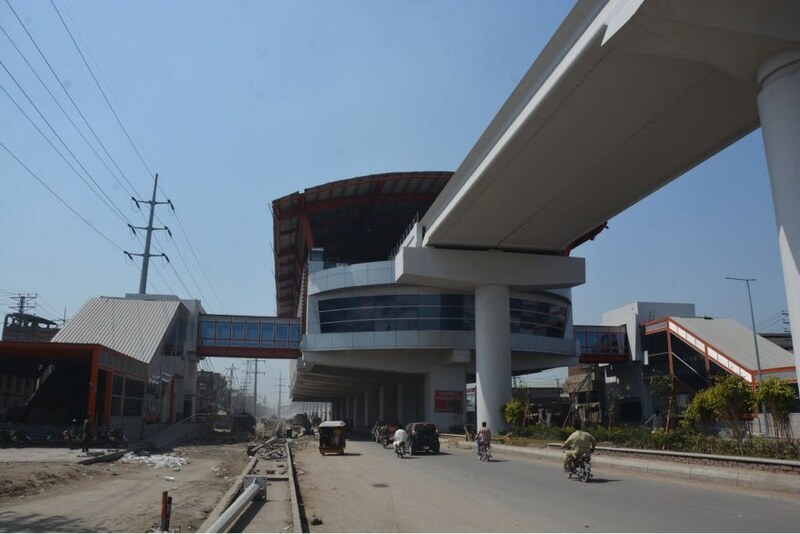 "The OLMT is not just a development project. Rather, it is the manifestation of democratic resolve to serve the common man [sic]," Shahbaz said, according to the Punjab government's Twitter account. 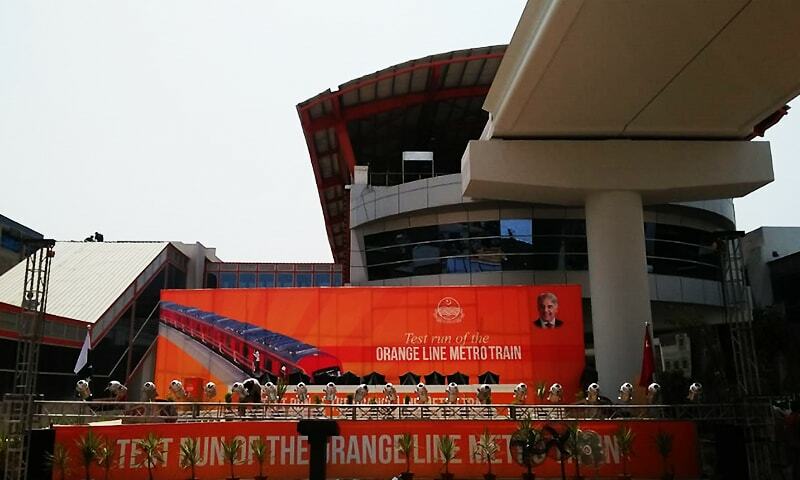 "Teachers, students, common citizens, labourers, and people from all walks of life will benefit from Orange Line Metro Train," he said. "The OLMT project will transform people’s lives. The project will become the basis of an interaction between different classes of society by creating a sense of equality and ownership in social terms," he asserted. Initially, the project will facilitate 0.25 million people daily, whereas by 2025, it is expected to facilitate 0.5m people every day. 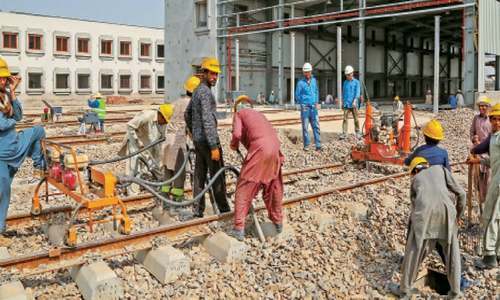 Under the project, 27 trains — with five bogies each — will travel across the track in 45 minutes, a journey which previously took 2.5 hours, according to the Punjab Government. The CM Punjab, while addressing a gathering after the inauguration, said work on the project would be complete in three months. 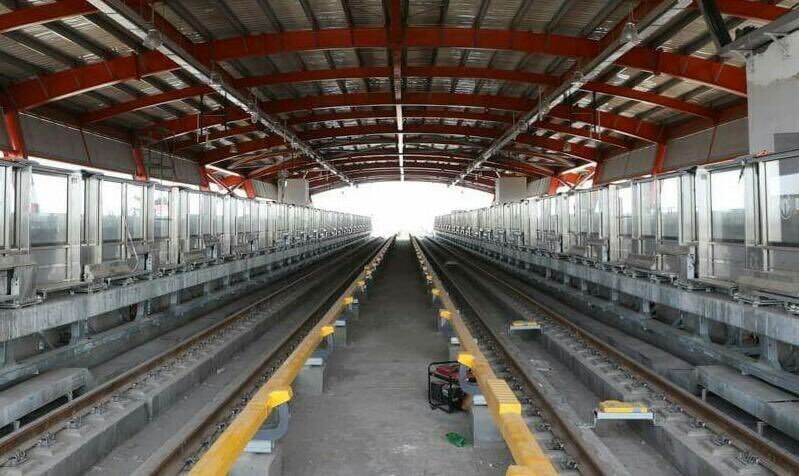 So far, 88 per cent construction work and over 70pc of the electrical and mechanical work on the project has been completed. All the bogies of the train have been imported from China. Each bogie is 20 metres long. Although there are 60 seats per bogie, each can accommodate up to 200 people. 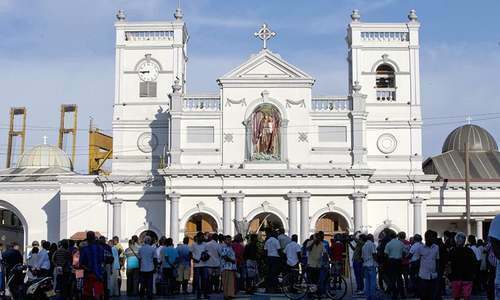 Separate seats have been allocated for women, the elderly and differently-abled individuals. Great PML-N. Big cities need good public transport systems. I hope Sindh government will do the same for Karachi. Irrespective of corruption charges, its a good addition of facilities for Lahore. People may agree or disagree with Shabaz Sharif's political views, but everyone commends him for his vision for building modern mass transit train system in Lahore. This will be huge relief for the common man. In comparison, Sindh government has failed to build desperately needed mass transit for Karachi. No country can develop without mass transit system. "The CM Punjab described the OLMT as a "gift" for citizens,"
What about the gifts of clean water, basic healthcare, education, electricity, jobs for youth? Once wonders why Sheriffs are always interested in "Construction" projects? OLMT is icon project representing the egos of the modern Mughals! It is a total allocations of resources! The CM should visit poor areas of Lahore, central and southern parts of Punjab to see the real suffering of people! Brilliant effort. Strong and durable infrastructure is a sign of good management and strong economy. I'm not a Punjabi and wish to travel one day to Lahore but overall this model can be applied in Peshawar, Karachi and Quetta. 'gift'? If it is being paid from public funds and/or loans taken out in the name of public, it cannot be termed a 'gift'. It is a burden to be born out by public w/o their consent and involvement. This so called 'gift" can never be substitute for education, health, electricity, clean water and air which are still a nightmare for most of the public in greater Punjab who's share of funds has been misdirected for these toys. Expensive toys require expensive keep up and maintenance costs too. There is something called priority. Is this what they could come up with as their's? an expensive endeavor without a doubt but to the people that cant afford even 50 rupees per day on transportation this is really important. I usually travel by Uber or careem but when I am low on cash then metro comes to the rescue. I hope they maintain it better then the metro bus project. Now Pakistan too has metro trains. Congrats from Eastern border. Looks very impressive, shame we can't say the same about the basic health and education infrastructure of the country. Wow!! Looks great. But the development is only in the Punjab province, what about others, specially Baluchistan? Proud to see introduction of such services in Pakistan. The rich in Pakistan won't realize it's importance. 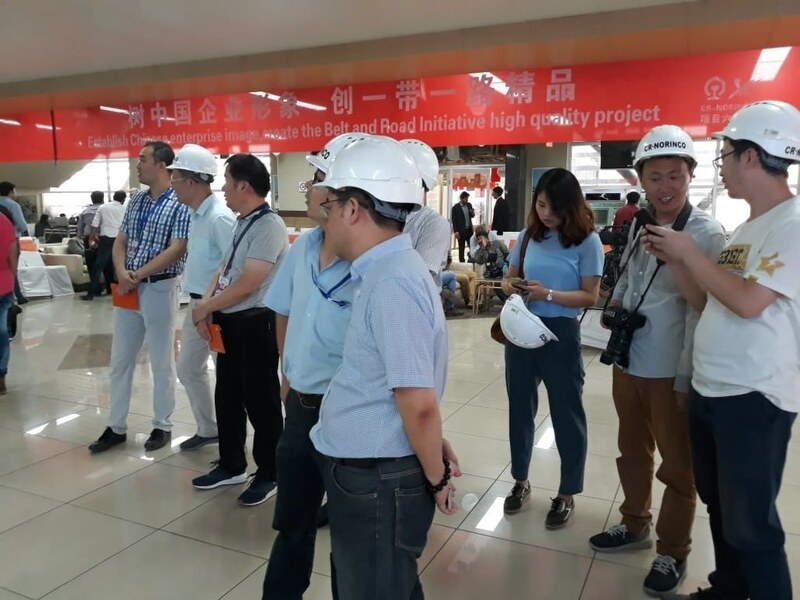 The rich in the West do appreciate such projects equally since they use such services to seek access to busy downtown or central business districts. Pakistanis will start appreciating it's value soon. Hats off to the people for bearing the trouble during construction. Entire city was affected but now they will reap its benefits. Bravo. Well done Shahbaz. May your party win coming elections with an amazing margin to bring about similar projects throughout Pakistan and make Pakistan flourish. All the best! Wish and pray this is in the best interest of common people and provides a safe medium of travel for everyone. Where on earth anyone inaugurates trail run of a train !! Good, wish the residents of Islamabad were also gifted with a metro train. A gift, did he pay for it himself. How many more metro projects are needed in Punjab, people need food, clean water, education, health, security and corruption free institutions. 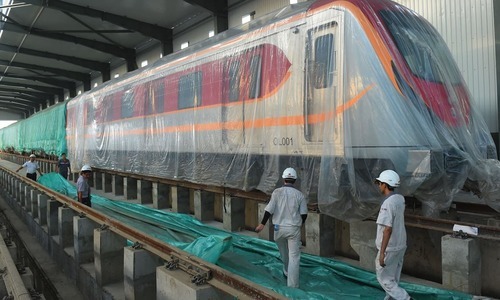 The train will travel a distance of 11 KM, wow this is one hell of an expensive project and a gift paid for by the public. 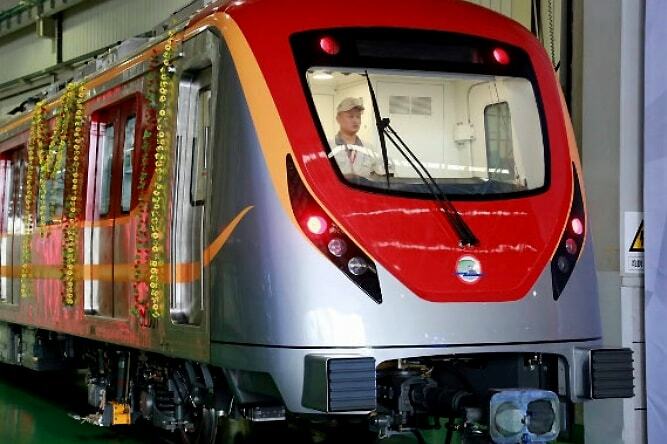 I hope people will look beyond shiny train and realise this is not exactly a gift, an overpriced and under used project heavily subsidized by the poor. Could not believe that Pakistan can have such a wonderful transportation system. Truly amazing. 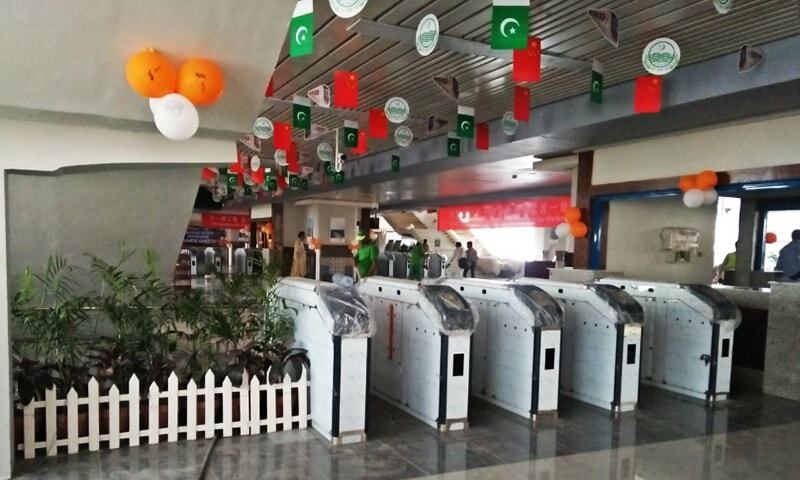 Visit Islamabad airport, Lahore metro and others. It helps reduce wait times for everyone and is necessary for progress of Pakistan. Well done. This is why PMLN despite many efforts to degrade it is still standing tall and people are appreciating their work. Look at KPK for instance it is struck with devastating and poor governance and people now compare KPK with Baluchistan in terms of that KPK has even progressed backward with corruption and other matters. Well done PMLN well done. PML N keeps coming back with amazing and solid performances. We didnt came out of amazing Metro appreciation that PMLN delivered another blow. Its a trial for Lahore and will be there for other cities as well. Why not nation thanks PML N from atomic test, motorways, hospitals to ending of terrorism and peace in Karachi. Economic growth also inspiring. Great going by PML N.
A good job that is visible too. I hope power supply is there to run the train!!! Congratulations. If CM you are done with Lahore can you also look into other cities development. If someone has not told you yet is that you are responsible and answerable for whole Punjab not just your hometown. But wait now your government is almost ending. So you proved that for you only Lahore is Punjab. Very nice to see progress in Pakistan. Hope people will take care of these properties in a sensible and responsible way. Looks like a Chinese run enterprise. Political differences aside, PML-N did a good job by giving the public a train system. Welcome to the 21st century Pakistan!! Well done. This speaks volume and reflection of determination and hard work. Other provinces to follow. What a country we live in. 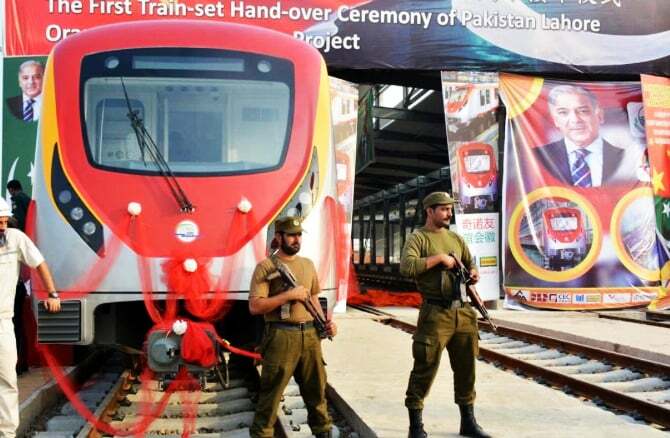 At the inauguration of train we see security personnel holding guns. This is the message we disseminate to the world that how safe we are. Excellent. But the irony is most educated and populated city Karachi does not have such an international level transportation system. Ah! corruption in Sindh has swallowed everything and no one is to take notice. Thank you Shahbaz Sharif for doing something. While the rest sleep the tortoise over takes them. "The OLMT project will transform people’s lives. 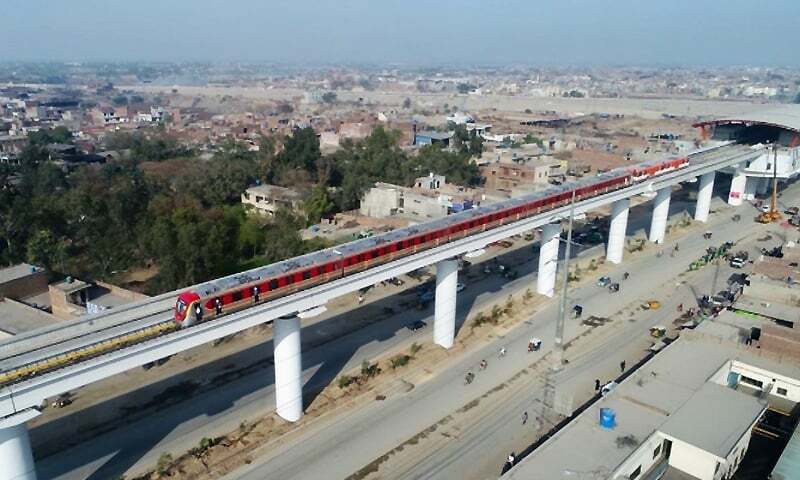 The project will become the basis of an interaction between different classes of society by creating a sense of equality and ownership in social terms,"
A very wishful thinking by CM...since when the elite and Waderas of Pakistan have traveled in trains? This is world class transportation system introduced in a big city in Pakistan. It is a big achievement and deserves to be recognized as a milestone in Pakistan's local transportation system. Hope other provinces and other big cities like Karachi will follow to help their poor citizens and provide modern and safe transportation. Congratulations to all workers, engineers and planners of this project. Congrat Lahore. We wish to have it in Karachi also. This is the best metro in south Asia. Mashallah. Congratulations! Proud of Shehbaz Sharif. "So far, 88 per cent construction work and over 70pc of the electrical and mechanical work on the project has been completed." So if it is not complete why are the noon league inaugurating something that is not even complete yet? Nothing I suppose to do with the imminent election? will this train provide clean water and other basic humans needs?. If this is a gift, who is paying for it? Is it zardari or Shareef family? With electricity shortfall... are these feasible? Very impressive and much needed, but I am afraid that our people will not know how to use or take care of this large investment. We have to educate the people, and this can only be done by starting to teach the children at school, about civic responsibility. That is, when I was primary or elementary school, I was taught how to cross a street properly, to wash my hands properly, to stand in a queue, dispose of litter in a bin. We should teach the children how to take care of public property as well at school. Only then will we see a responsible public. Trains should be the main source of transportation! It is vastly economically, socially and environmentally safe to travel. Care taker government will most likely halt the project. Good work, PML-N! I surprised not see any negative comments. Any chance for Drinking Water project for Karachi please? Karachi generates over 50% revenue and struggles for basic life nessesities like drinking water, clean road, electricity etc. I am happy in spite of my different views not matching with PML-N, i appreciate that some positives are there, which we as citizens must appreciate. I have learned to accept the achievements even by opponents and appreciate them. Well done Shahbaz Sharif and i hope others will follow the tradition by doing same development work in their domains of authority which will ultimately facilitate citizens for a long over due civic facilities. Everything looks goods to begin with.Once it start commercial operation its environmental impact to the national heritage such as Shalimar gardens alongwith other historical buildings in close proximity of the tracks & subject to monumental viberations, ignored due to not conducting a viable environmental impact assessment, will be interesting to watch.In addition, our common man’s culture to throw garbage anywhere or everywhere,since not addressed through a mass awareness program, would be an operational hazard & nightmare for those in jubilation of this inauguration of orange train service. In the final analysis, mass transit is cheap & workable solution to provide relief to commuters, wasting money & time both in reaching their destinations but may prove to be a money eating machine if there is defective or insufficient maintenance of fast moving parts, & the facilities at embarking/ disembarking stations to begin.Good luck to all those passengers intending to use this new facility. Congrats to people of Lahore ! It is not gift by the way. tax payers are paying. No doubt Nawaz sharif government bought good changes for common people . Highways ,mass transit in communications. These are huge undertaking with all opposition and negativity . 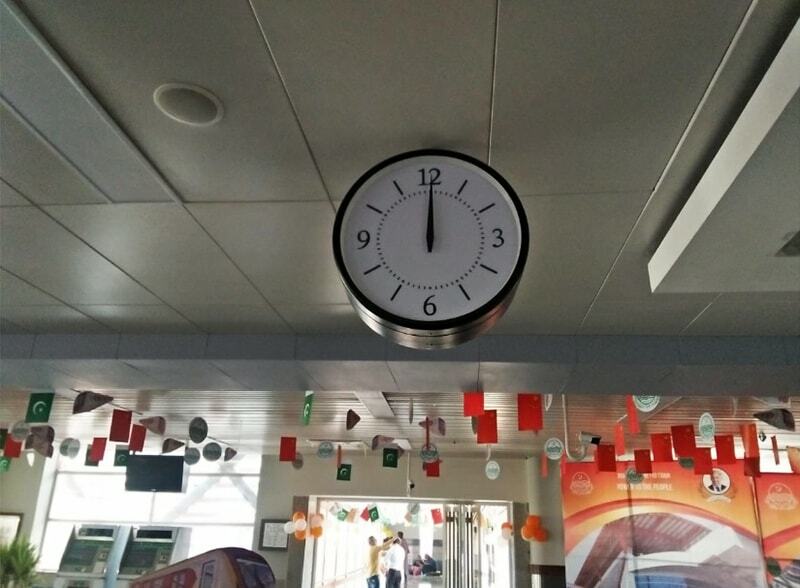 Is this station in Pakistan or China, even driver and engineer are from China !! I think courts should have given a stay order not to start the train service . These kind of projects give more popularity to PML N government. It also gives a bad impression on pro establishment parties like PPP and PTI which have no public projects of there own to show to the public. If the PML N governments keeps on doing this kind of work they might win the next election which is not good for the country. Juxtaposing the rise of Lahore with the fall of Karachi is painful but...salute to the caretakers of Lahore for the past 10 years. @Concerned about time but you have to question the cost and under the table fees. Great work. We are making progress. We will continue making similar progress if we bring PMLN in power once again so that we are at par with other developed nations in a decade or so. From pictures, it looks like a good project. It is important that people should realize that it is their responsibility as well to use this apparently wonderful facility carefully. They shouldn't litter, don't break things and shouldn't try to bypass the process in place. The government should also educate public about how to use this. 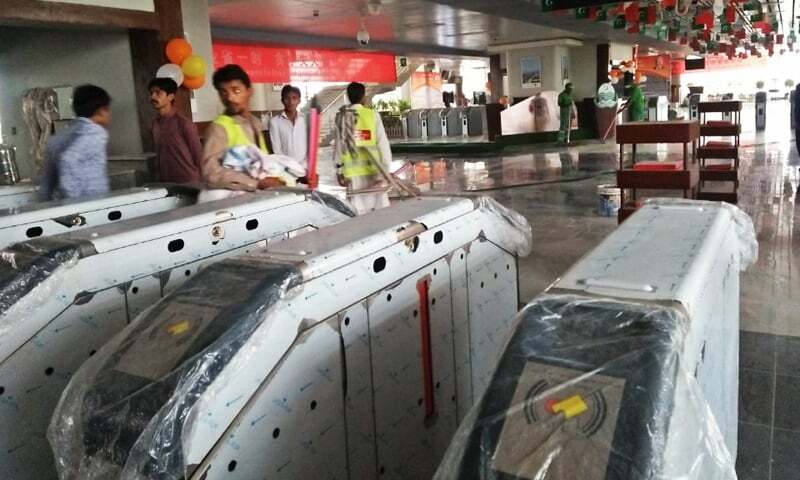 @Ahmad this metro train project is under cpec, spending $2 billion (and its a loan from China) on just 27km whilst ignoring rest of Pakistan is just criminal. 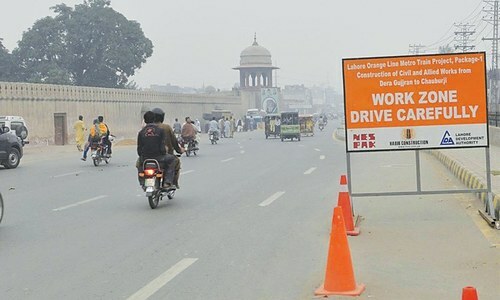 Even Lahore has so many areas which is extremely underdeveloped!!! Basic needs have been ignored. And keep in mind such public transport projects are run on loss, so govt has to allocate billions each year just to keep it running. Just baffled how our people are so ignorant of what human development really is. Nice video. 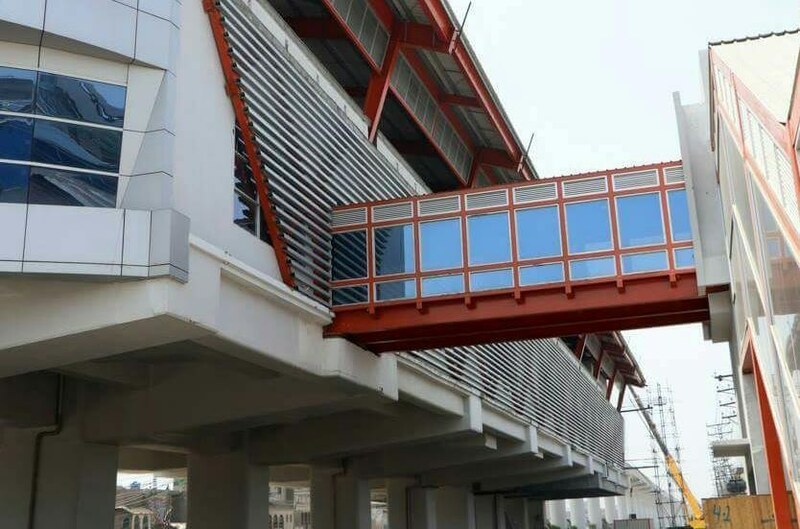 Even if, as some people have been commenting, this project was politically motivated, the train service will be there permanently for people to use. Looking forward to taking a ride. its incomplete. can be seen in pics. especially in pic where they show ticket validating posts. how can he inaugurate it incomplete?? desparate move. NAB should ask for cost of project and spending on it. @Ahmad I feel that any politics should be kept out of such projects. These are for common citizens and must be encouraged. Who takes credit is insignificant. Politicians from any party will behave same. Bangalore is now has a reliable metro service and expanding in an exponential manner. Lahore and Bangalore can be compared in all aspects and can anyone make cost compare? People in Pakistan don't even have water, electricity, food, road, school, hospital and women safety buy still they want to waste money on these fancy toys. Orange line train is lacking few things. 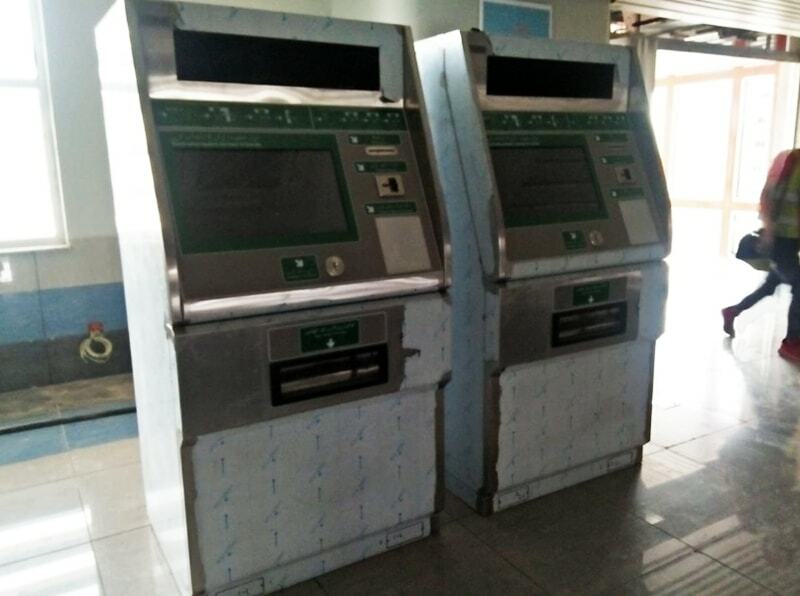 Those are tickets vending machines and ticket scanners for entering into terminal for boarding. 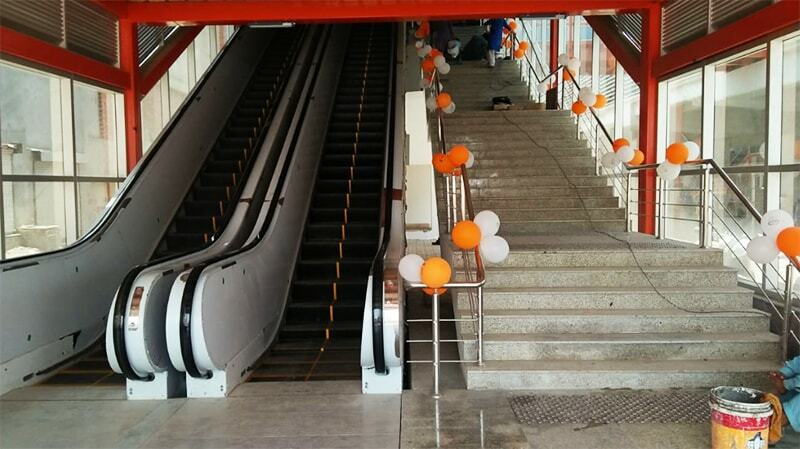 Orange line did not use high quality material such as escalators and floor tiles. Proper maintenance is required to keep the system run smoothly. The government should educate public that eating or drinking or littering will be subject to penalty of Rs 5,000. Instead of providing vital necessities like quality Education and Health, the government is rather focusing on Transportation. When would they align the correct priorities? My hat off to all the folks that made it happened. Let’s keep politics out of it as it’s benefitveveryone. Karachi can benefits significantly if goes with a good rail system. 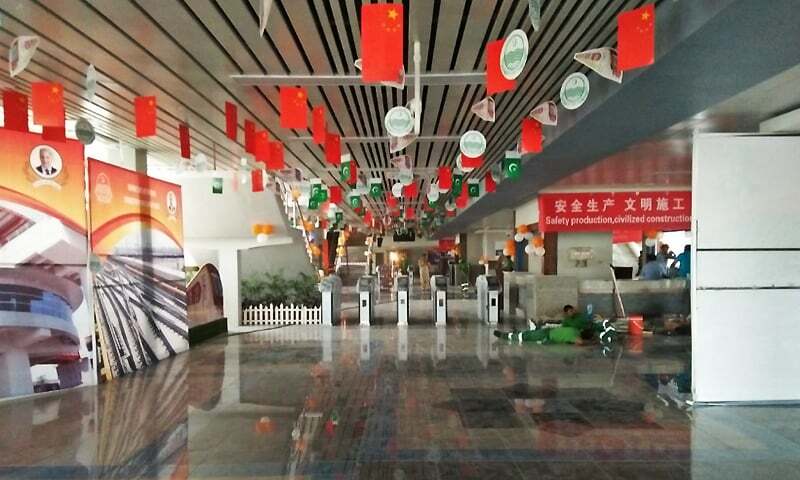 Look around Asia and see all industrialized countries has a well established rail system. Why not call it Lahore Metro? What would they do when they add new color coded lines? @Magister True but if the train runs on electric then there is a problem in Pakistan. No power!!! Why not Karachi, Quetta and Peshawar? Any drinking water project for Karachi please ? Karachi makes over 50% revenue for the country. @Omar exactly! I don't understand all this happiness around these trains. Huge investment are still missing on basic needs --> electricity and clean water !!! Where are the dams? The launch of OLMT right before elections is no mystery. @Chris Roberts "the train service will be there permanently for people to use. " Until the subsidies dry up. Will you be able to 200 per trip? If not, the service will be stopped. If subsidies remain, there will be nothing left for schools and hospitals. If you don't believe it, just ask the government to privatize it. After all the same government wants to privatize PIA and steel mills, so why not the train service?